I am writing because I have been shaken to the core by the story of Bresha Meadows. This past week has seen the passage of her eightieth day in jail as she awaits her sentencing hearing. Eighty days. Each one of them does further harm to this child who has lived through years of domestic violence, and like all abuse survivors, needs support. 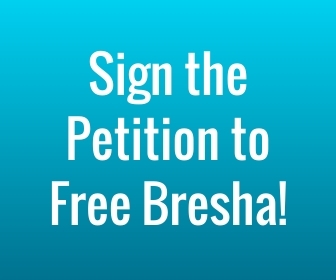 Instead, each day in jail reproduces and compounds the violence of abuse; Bresha, who spent her fifteenth birthday in jail, continues to live a nightmare of punishment and isolation. It thus made my heart sink, though it did not surprise me, when I learned that Bresha had been placed on suicide watch. And while I welcomed the news a few days later that the watch had been lifted, my heart could only sink further, and my stomach turn, when I heard the recent news that her sentencing hearing, twice postponed, was not going to be until November 22. That will make for over 110 days in pretrial detention, away from her mother, siblings, and aunts; away from school; away from any support structure that could help her heal from the trauma of abuse. Why is a child domestic abuse survivor being locked up for week after week without charge? And how could it possibly be that you are considering trying Bresha, arrested at age fourteen, as an adult? Ultimately, in trying to understand the state’s cruel treatment, I arrive at the question Why is Bresha being tried at all? 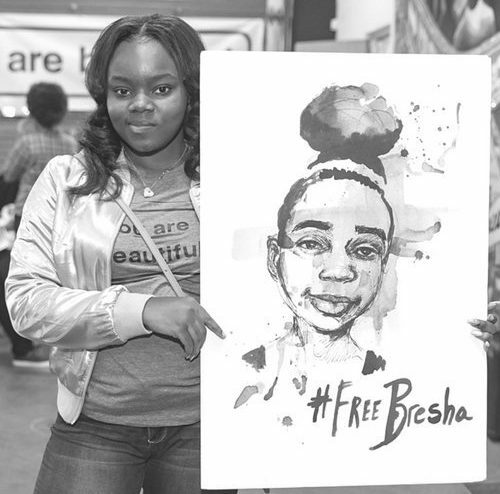 The only answers I can see speak to something deeply wrong with our society’s priorities: instead of investing in systems to support Bresha and other girls who grow up in abusive households, we invested in criminalizing and punishing them. The figures are stunning: according to a 2015 report, 84 percent of girls in juvenile detention have experienced family violence. Furthermore, Black girls were 20 percent more likely to be placed in detention than white girls, and Native girls were 50 percent more likely. The message to young girls of color like Bresha is clear: your story does not matter, your survival does not matter—you have no self worth defending, in fact no self at all to defend. Bresha became visible only upon her arrest as a criminal. That only some people—namely, white people like me—can be recognized as a person with a right to self-defense, or as a victim of traumatic violence with a need to heal, is a grave indictment of our state and social institutions. Indeed Bresha’s story is one of the state’s failure at every turn, including the two times law enforcement forced her to return home after she ran away to escape the abuse and the time child protective services questioned Bresha’s mother in the presence of her husband, the reported abuser. I thus write to you because as the representative of the state in Bresha’s case, you can begin to redress this failure. You can put a stop to any further harm against this child. I urge you: drop all charges against Bresha Meadows and release her immediately, without delay.